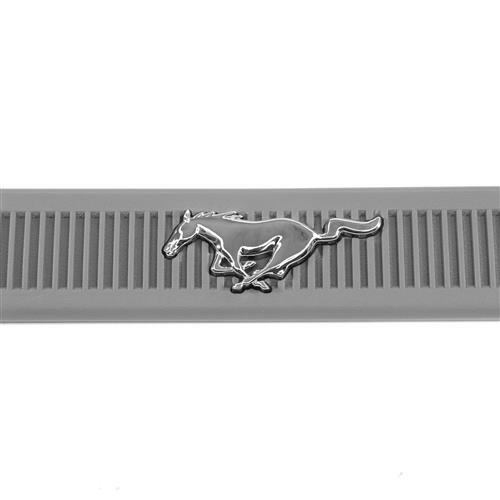 Upgrade your interior while restoring a commonly worn out part with these running pony emblem, smoke gray Mustang sill plates. 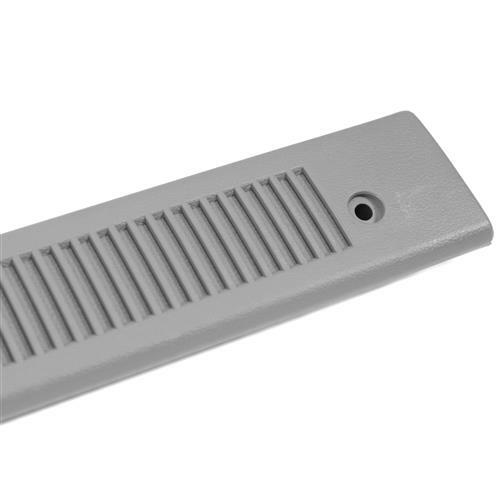 Most commonly referred to as scuff plates or sill plates, these plastic scuff plates are located at the top edge of the rocker panel where the carpet meets the rocker. 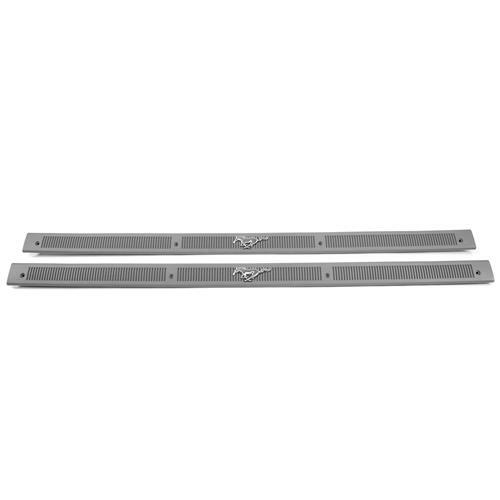 These Mustang scuff plates are in a high traffic area and often get scratched up or broken. 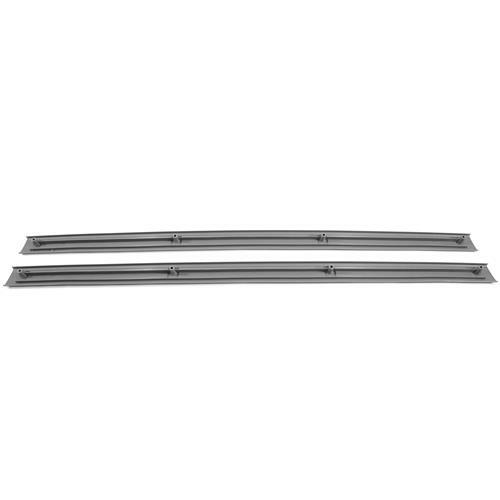 They are seen when the door is open, and having a new set will definitely set your Mustang apart. 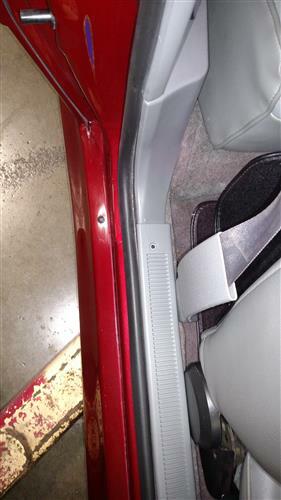 With a chrome running pony logo added to these sill plates, you get a custom look added to your Fox Body interior. 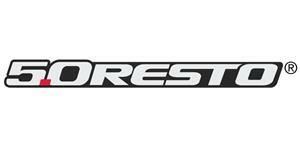 These plates are officially licensed by Ford. 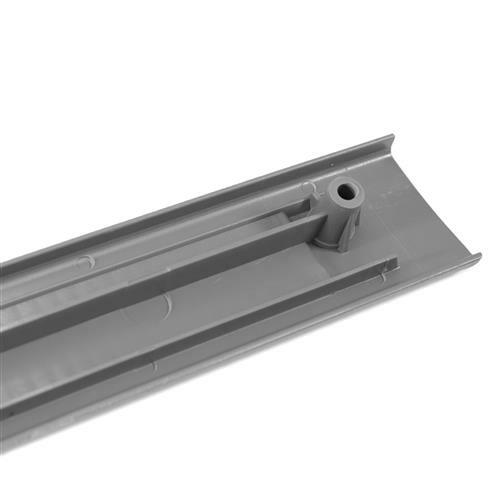 Smoke Gray is correct for 1984-1989 models but will fit any 1979-1993 Mustang.